Bellaire Neurology is accepting new patients with or without referral. Please call 713-715-6360 to schedule or submit your request online. The New Patient Demographic Forms are available in “Microsoft Word .docx” or “PDF” formats and will help to make your registration process faster and eliminate some of the paperwork you would normally fill out in the office before seeing the doctor. Patients are requested to download these patient forms and email or fax them to 713-715-6367 within 2 days of when they schedule their appointment. We can also fax or mail them to you if needed. To be in our practice, all patients have to maintain an email address that they check regularly and therefore we no longer mail our forms to patients. Insurance has made life much more complicated than it used to be. When a patient sees a physician, the physician can either be in network or out of network. Depending on whether we are in or out of network will affect your benefits. Some insurance plans have office co-pays for visits and some have deductibles with a coinsurance portion. Once we have your insurance information and can verify your benefits, we will be able to tell you what your financial responsibility will be. Charges that we do not expect insurance to cover are to be paid at the time of the visit. Cash, Check, Visa, Mastercard, American Express and Discover are accepted. Bellaire Neurology offers out-of-network patients and patients who are cash pay a 15% discount on charges paid the same day as their appointment. Follow-up visits for out of network or cash pay patients are typically $160. In general Dr. Loftus is out of network. He is only in-network until June 2019 with Blue Cross Blue Shield PPO and Par Plan (*but not Blue Choice Solutions or an HMO plan. After June 2019, he will not be in network with any insurance at all. Here is a fee schedule. We cannot determine your exact financial obligation because it is commonly not possible to know the precise amount your insurance is going to pay. When we receive remittance from your insurance you may still owe a small portion. We will extend the 15% same day payment discount to any remaining balances if we have a valid credit card on file. If you wish to take advantage of this savings please fill out the "out of network form" and return it to the front desk. Here is a fee schedule. *As a convenience we can draw your bloodwork in our office and send it to your in-network laboratory for a fee or you may go to an in-network draw station. Why isn’t Dr. Loftus in my insurance network? Patients ask all the time why Dr. Loftus does’t join their particular insurance network. The reason is simple. Dr. Loftus spends a minimum of 40 minutes with a new patient and 20 minutes with a patient for a follow-up appointment. Dr. Loftus answers portal messages from patients each day and even on the weekends. He likes to spend time with patients and believes medicine is a “team sport” where both the patient and physician must work together to create the treatment plan. Plans that are currently out of network reimburse physicians very low (sometimes even less than Medicare). If Dr. Loftus were contracted with them, he would not be able to devote as much time to individual patients and he would not be able to provide the personalized care that so many of his patients highly value. We do not accept Medicare. 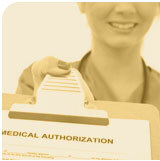 We are considered Medicare Private pay. This means that we cannot bill Medicare and you cannot seek reimbursement from them. We can still order testing (lab work, MRIs, etc) and Medicare will pay for this testing.